I am out today: Friday, 2/27 but I have a Follow-Up project to the work we did on Wednesday. On Wednesday you learned how to put your CD Design on the Disk. Today, you will turn your CD Disk into a Transparent "TIFF" File. Please follow the Step-by-Step tutorial custom-made for you by me! First, open your CD Disk that you made on Wednesday. Your File should look something like this now. 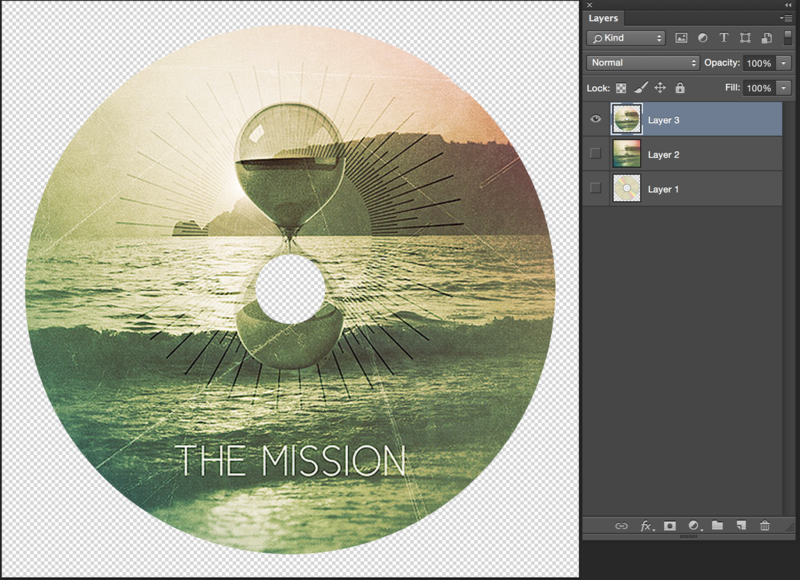 You have a new Layer with a Circular Picture of your CD Design. And you have 2 layers below that. Delete those two layers. 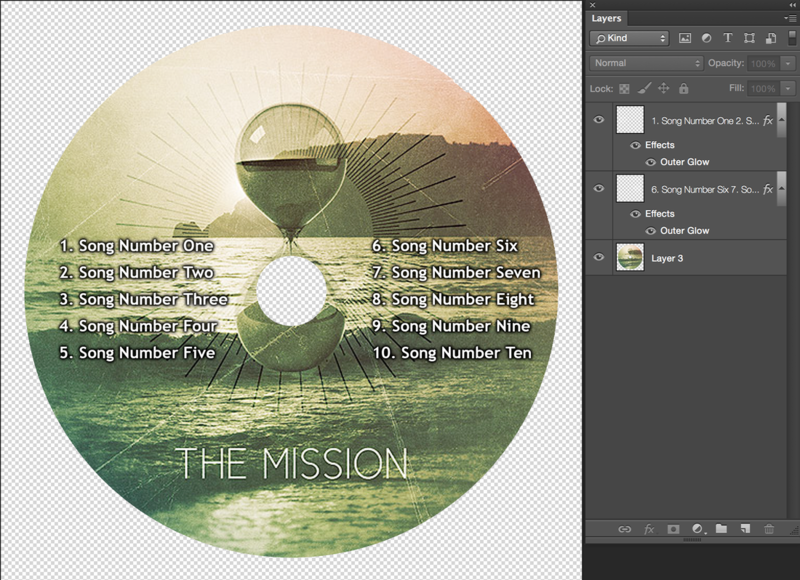 from your CD Back Side PSD (The one with Layers!). My title is already on here, so I will just add my 10 Song Names. Your File will look something like this now. 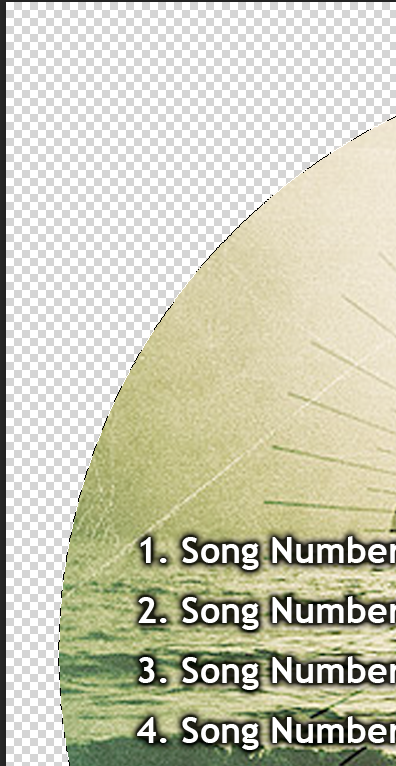 Click the Magic Wand in the area just outside the CD. 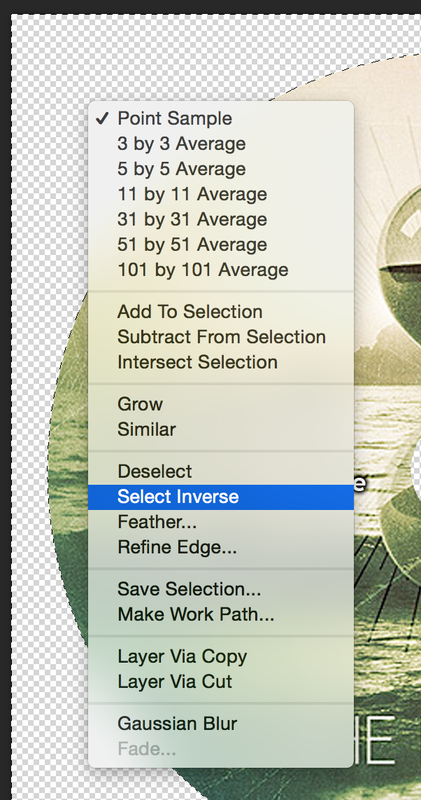 Now Right Click and Choose "Select Inverse" . . . See Below . 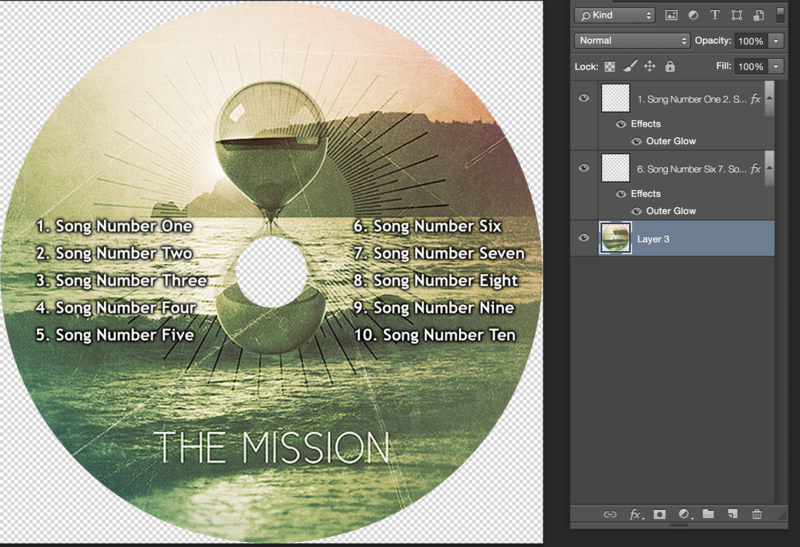 . .
You should see that now just the Edge of the CD Picture is Selected . . . See Below . . .
Now go up to the word "Image" at the Top of the Page. 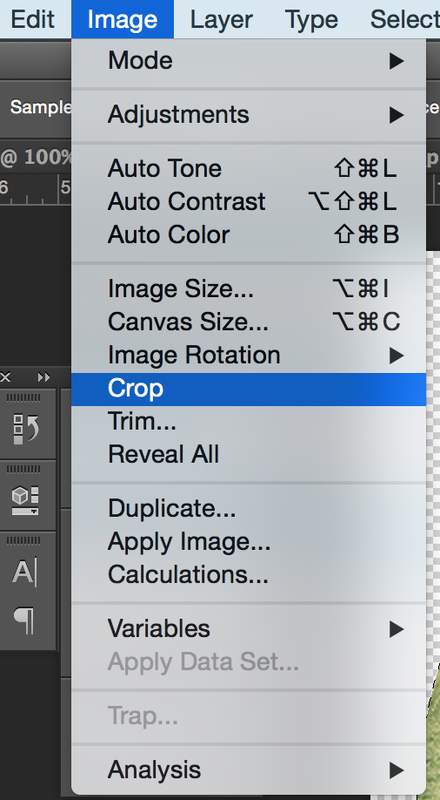 Scroll down to and choose "Crop". 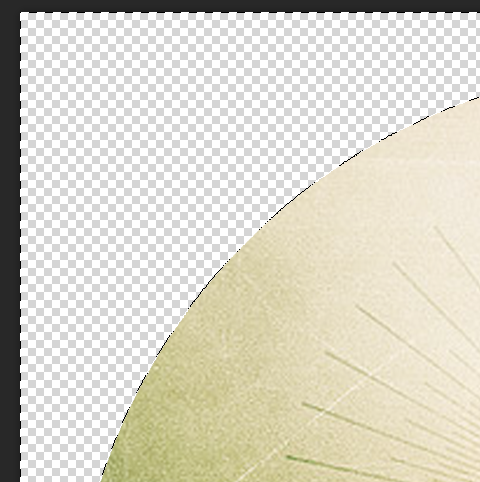 Now the area around the CD Circle Shape will be smaller. Now we're going to minimize the size of the File . . . 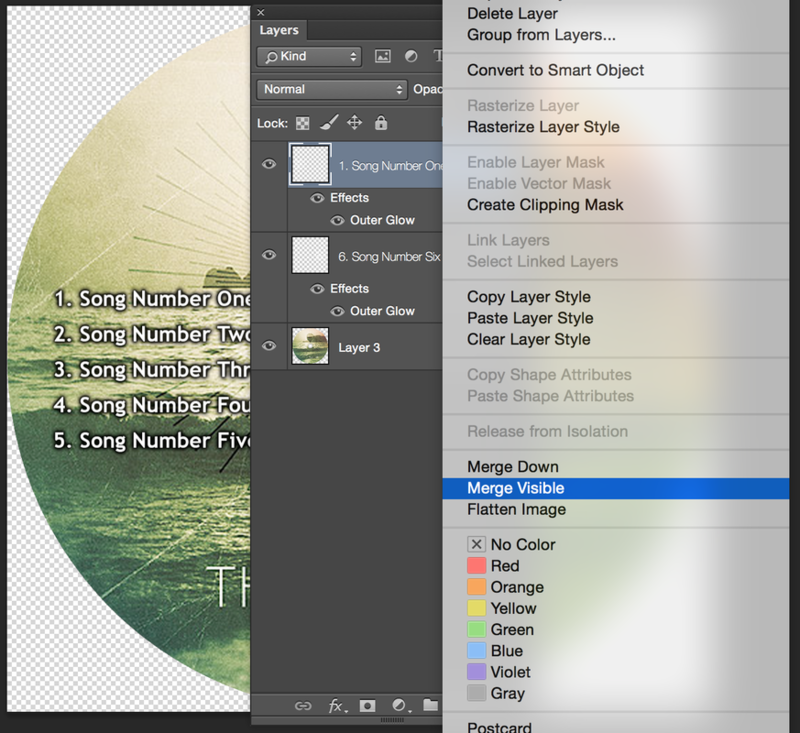 Select the top Layer and Right Click and Choose "Merge Visible". We want to keep the file Transparent. in the center hole and the surrounding edges / corners. Okay, now we're going to create a TIFF (.tif) - take it slow! ASK THE ASSISTANTS TO HELP YOU WHEN YOU ARE NOT SURE . . .
My pictures will look a little bit different because I am working in Adobe Creative Cloud (CC). Go to "File" > "Save As" and now change the Format from "Photoshop" to "TIFF" (at the bottom of the list). 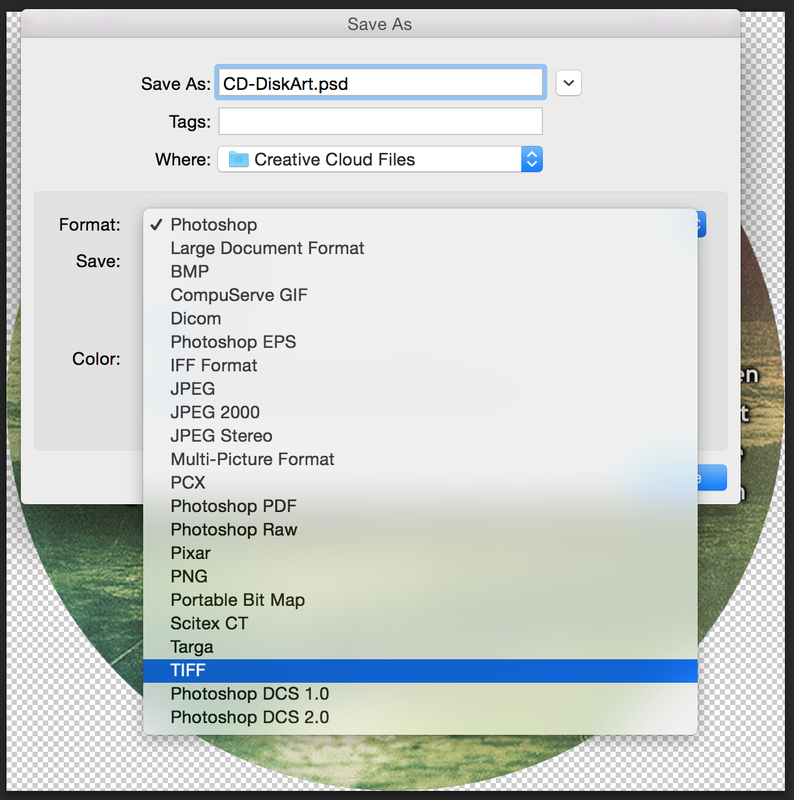 And also change the name of your file from ".psd" to ".tif". You will now have a Tiff Options Window: STOP!!!! PAY ATTENTION HERE!!! Choose "Save Transparency" (about 3/4 down the window). Now you have a CD Disk ready to use for your Presentation. You are in the final stretch! Great JOB!! !